The San Francisco Giants used five pitchers in a four-run, ninth-inning rally that saw them get ousted from the National League Division Series by the Chicago Cubs on Tuesday night, and veteran Santiago Casilla was highly emotional about not being among them. 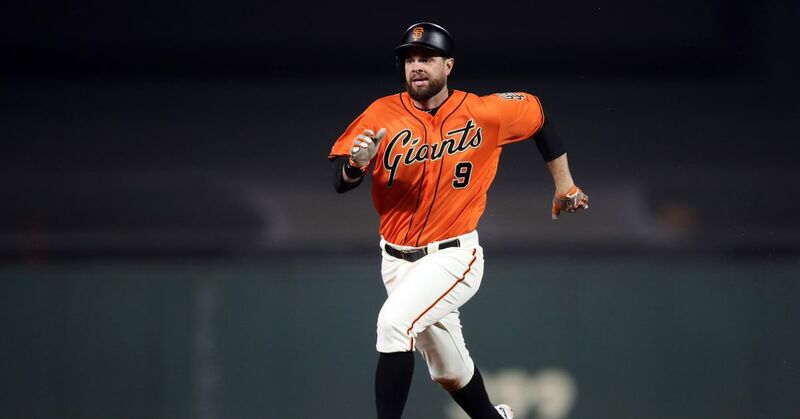 Following the Giants' shocking 6-5 loss in Game 4, the 36-year-old veteran was in tears as he commented on manager Bruce Bochy's decision to leave him on the bench. I never had that moment before during five years here. I had a little struggle. But everybody [in the bullpen] has had their bad moments. I think they forgot all the great moments I've had here. I've pitched a lot in the playoffs and done my job. I know I am a good pitcher. Casilla's career postseason numbers are sparkling, as he boasts a 0.92 ERA, 1.02 WHIP and four saves in 19.2 pressure-packed playoff innings. The 13th-year major leaguer struggled mightily down the stretch during the regular season, however, as he posted a 5.87 ERA in September and October. Casilla ended the campaign with a 3.57 ERA and nine blown saves in 31 opportunities, which prompted the Giants to remove him from the full-time closer role. In Casilla's stead, Bochy used Derek Law, Javier Lopez, Sergio Romo, Will Smith and Hunter Strickland in the ninth inning Tuesday. They combined to allow four runs on four hits and one walk without recording a single strikeout. Casilla finished the 2016 playoffs with just 0.2 innings to his credit, allowing two hits and no runs. While he has posted a combined 69 regular-season saves over the past two years, Casilla's time with the Giants may have come to an end Tuesday since he is set to hit free agency. Although Casilla's late-season play didn't inspire much confidence, his experience in big moments may have trumped that on the playoff stage. Bochy is a likely future Hall of Famer, with three World Series titles to his credit, and he often seems to push the right buttons during the playoffs, but leaving one of the best clutch playoff relievers of the past several years in the bullpen was a questionable decision. It may not have quite reached the level of Baltimore Orioles manager Buck Showalter opting against using dominant closer Zach Britton in an American League Wild Card Game loss to the Toronto Blue Jays, but Bochy's choice is likely to be second-guessed for many years to come.